Mercedes-Benz Roadside Assistance is designed to give you complete peace of mind on the road, 365 days a year. Our 24 hour phone line is always open to assist you when you need help to recover your vehicle whether you are at home or abroad. There are 3 types of cover depending on when your car was first registered. Mercedes-Benz Retail Group offers dedicated comprehensive breakdown and accident cover, with additional plus a revolutionary new vehicle safety system. Here to support you 24 hours a day – 365 days a year, we are just a phone call away to assisting you on the roadside. Comprehensive Roadside Assistance is complimentary for 3 years with any new Mercedes-Benz or 1 year with all Approved Used cars. Technical breakdown¹ - If you can't start your car or carry on your journey because of technical, safety, or legal reasons, we will come to you to get you up and running. Accident assistance - No matter whose fault an accident is, we'll be by your side to help you get back on the road afterwards. ¹Cars registered between 24/10/98 – 31/03/08 are covered for technical breakdown only. ²All cars registered after 01/04/08 are covered for minor mishap, accident assistance and vandalism/attempted theft. You can always transfer cover to new owners. We will come to you, even if your Mercedes-Benz has an issue on your driveway. 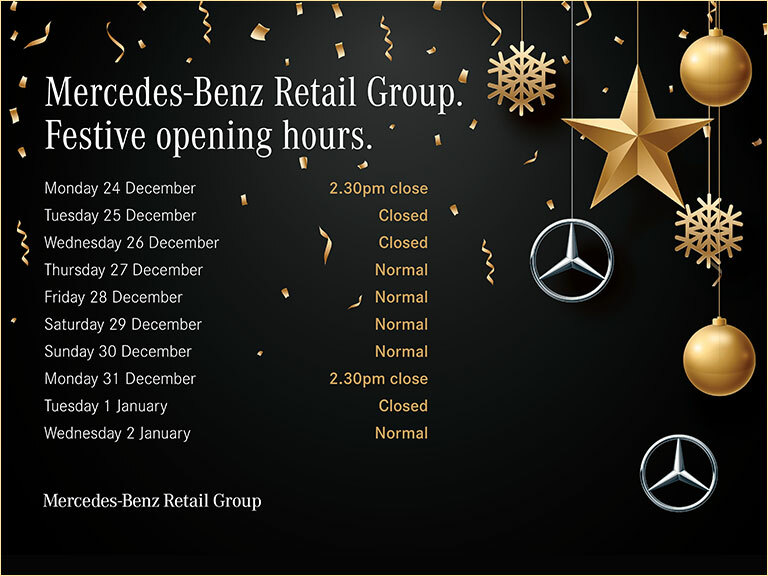 If we recover your vehicle, we will arrange for your car to be taken to your chosen Mercedes-Benz London dealership. All vehicles that visit our Mercedes-Benz London Workshops receive a complimentary vehicle health check to identify any other issues that may require attention.